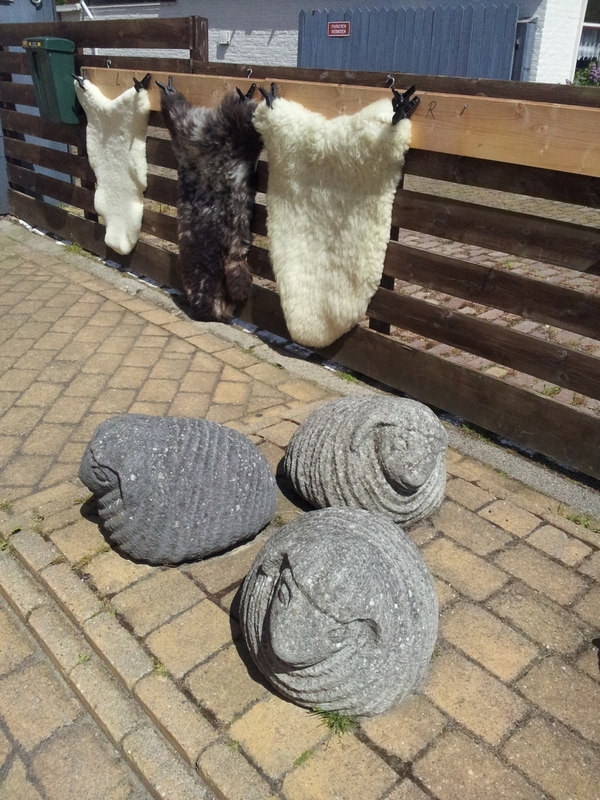 A couple of weeks ago, we were in Texel for a couple of days. Texel is an island in the Netherlands, north west of Amsterdam. There are only a handfull of small villages on Texel, but the island is very touristic, so there are quite a lot of hotels and restaurants. Not that much options for vegans though. 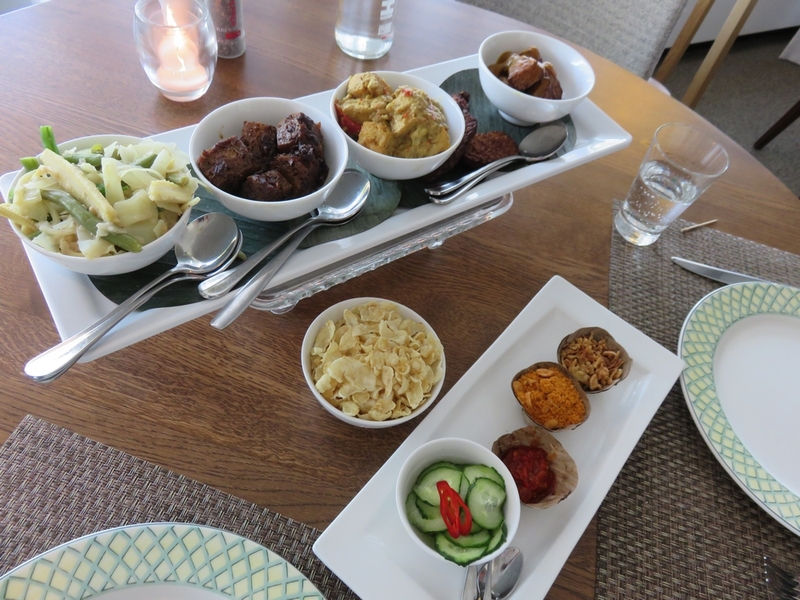 In previous blogposts with restaurant reviews, I promised I would give an overview of places where you can have a vegan meal (and also some restaurants that replied they cannot fullfill our vegan needs). You can see this overview below. 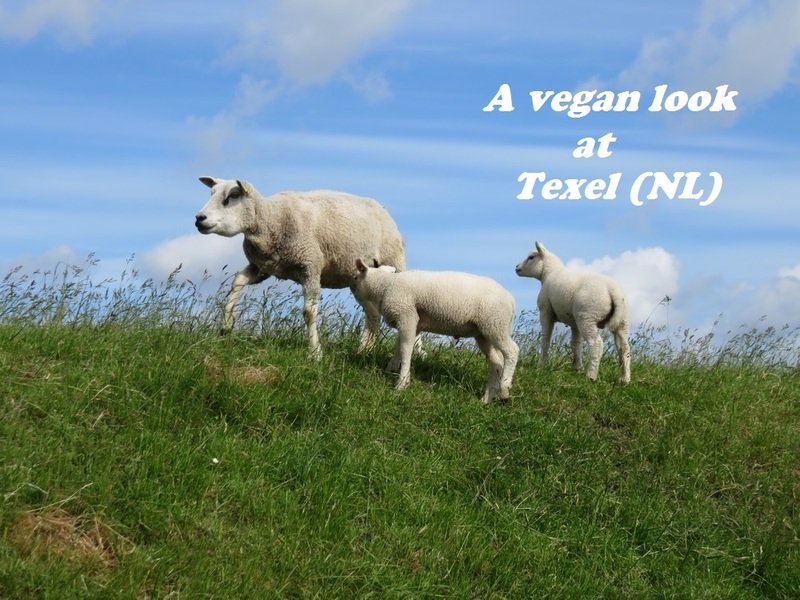 First, some other impressions from Texel, from our vegan point of view. 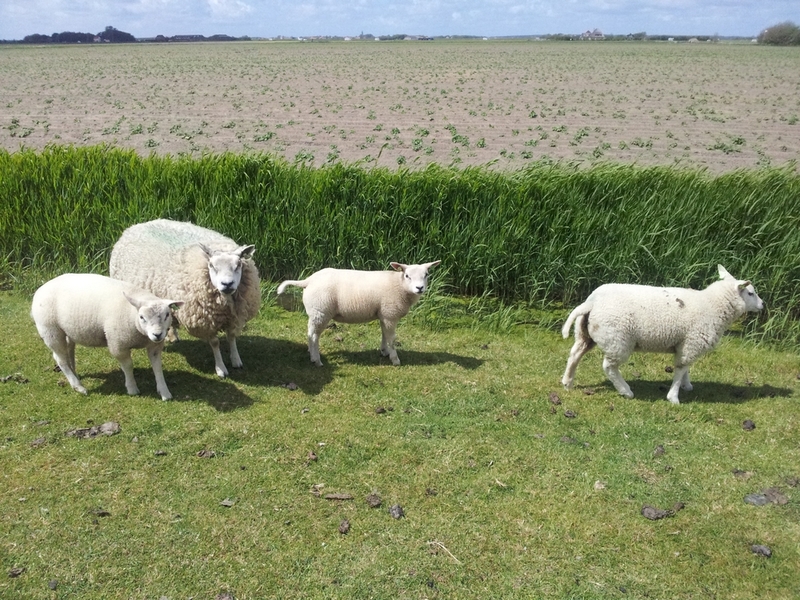 E-ve-ry-where you look on Texel, you see sheep. Thousands and thousands of them. 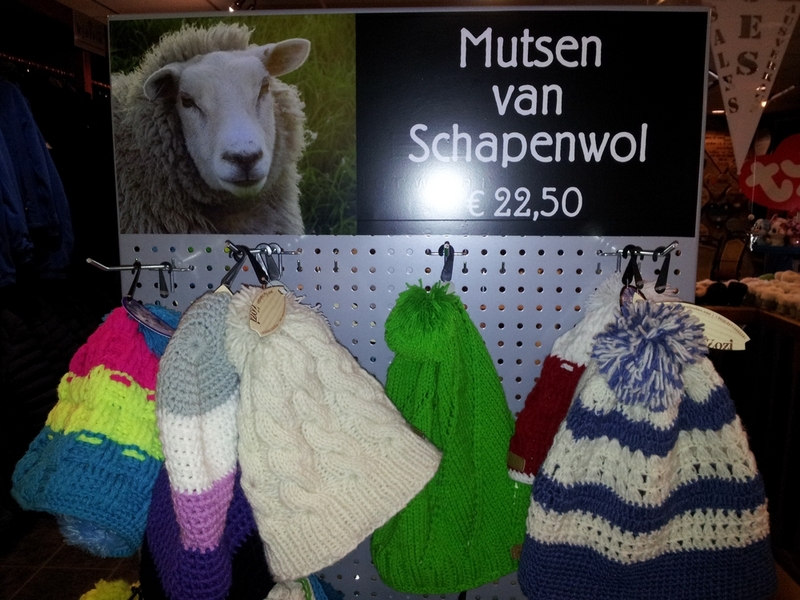 Not that Texel is a sanctuary for sheep of course. They are raised for economic purposes: for their meat and milk, and also for wool. 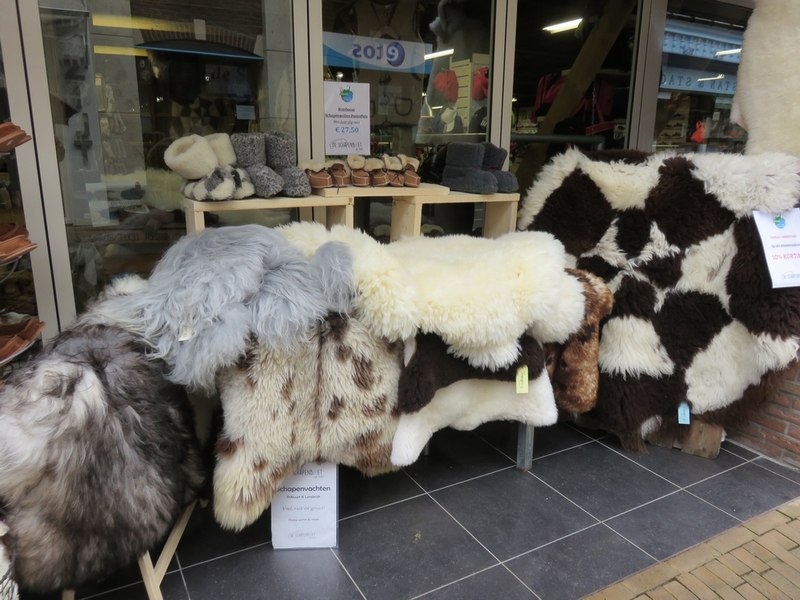 Hence sheep products like sheep meat, cheese and wool (and even sheep skins) are a common feature in restaurants and shops in Texel. We read online that there is a ice cream shop where you can get soy icecream. So we were eager to try that out. Turns out the shop is part of a dairy farm Labora, where you can go have a look at the stables and the full automatic milking robot in use. Interesting to have a look inside, but very sad, despite the ‘joyfull’ cartoons and sharts on the walls 😦 Remarkable that the calves (who are taken away from their mom at an early age, so humans can take the milk from the mothers) were not in sight of the visitors. Driving away from the farm, we could see the calve boxes on the other side of the farm, out of sight on the premises for visitors. In retrospect, I regret having bought soy ice cream at the shop, as it meant contributing to the profit of the dairyfarm. With the omnipresence of the sheep industry, and some dairy farming and fishing activity, it thus seems a big part of the island’s economy is based on the exploitation of other animals. Fair enough, we also did see a lot of birds (and bird watchers) at Texel, and with the dunes and surrounderd by water, there is still great nature to discover. Ecomare is a nature museum, seal sanctuary, sea aquarium and a bird sanctuary. It is located in the National Park Dunes of Texel. We hesitated about visiting the place, but in the end decided against it, as we don’t know to what extent Ecomare is a sanctuary or more a touristic animal zoo (cf. the ‘sea aquarium’ and activities such as ‘feeding the sea lions’ and ‘feeding the fish’ lead me to suspect it is more of an animal zoo). And I had also read conflicting opinions about the role of Ecomare in the ‘rescue’ of beached whale Johanna in 2012, so that’s why we preferred not to visit it. 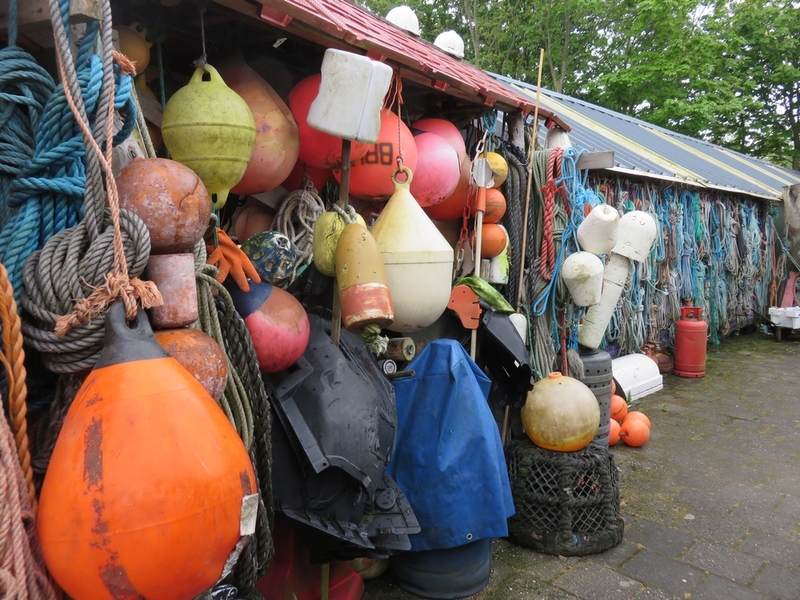 We did visit the Shipwreck and beach combing museum (Juttersmuseum) in De Koog, which was very interesting. 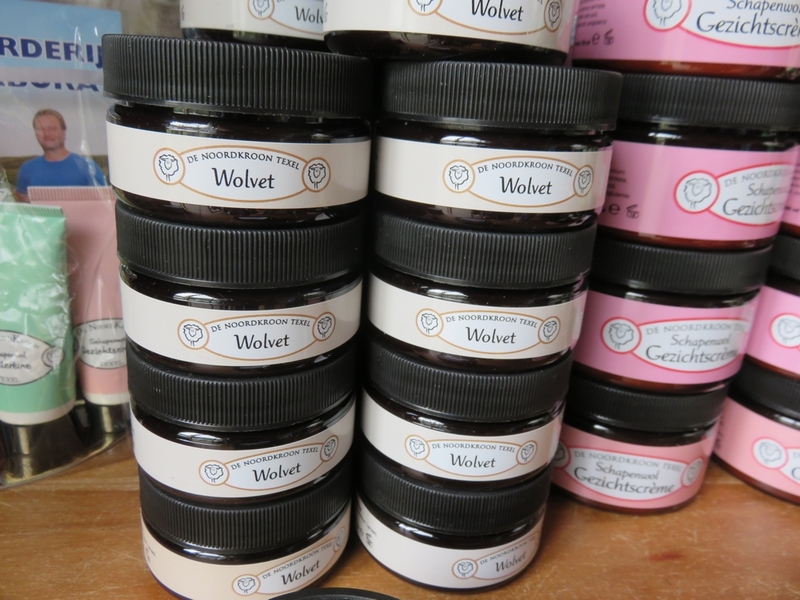 See our blog with our impressions and more photos HERE. Here’s a list with places where vegans can go out for lunch/dinner. This list is certainly not exhaustive. 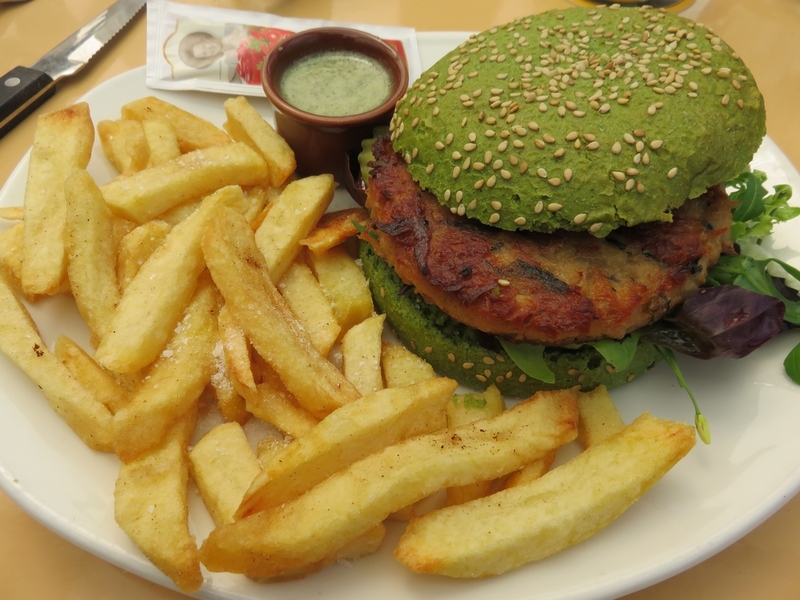 As there are many more restaurants on Texel, I’m sure there are many more places where vegans are welcome. 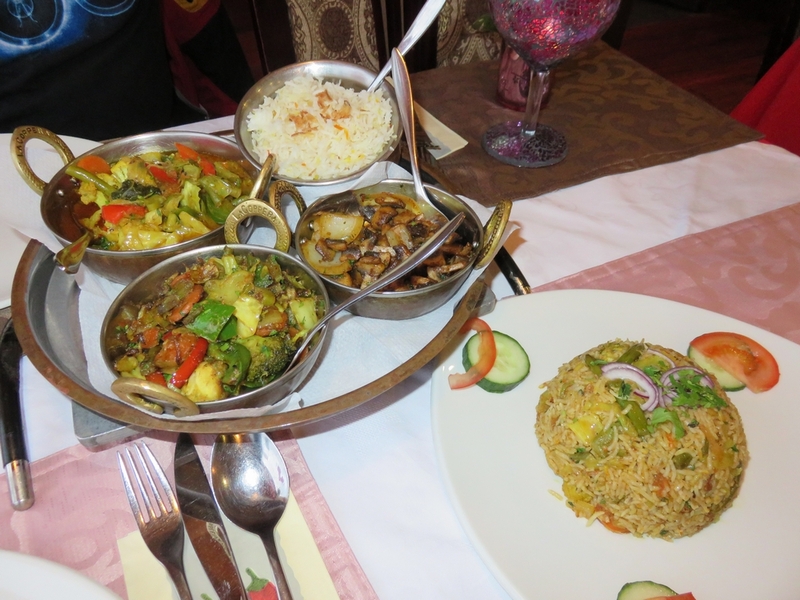 I contacted these restaurants because I had seen them mentioned in vegan facebook groups, or because I saw on their website they offer vegetarian – possibly vegan – dishes. Of course, if you have the facilities, you can also easily go shopping and make your own dinner. There’s an Ecoplaza (organic supermarket) at Den Burg, with many vegan products, and several regular shops and supermarkets on the island. We visited a supermarket in De Cocksdorp, which has plenty fresh fruits and vegetables, but remarkably very few vegan products (no things like seitan or tofu, nor vegan milks or yoghurt, etc). ‘Yes, you can have a vegan dinner with us. E.g. tomatosoup or onionsoup as a starter. Saffran rice with spiced lentils, glassworth, orange sweet pepper and onion chutney’ (mail 2015/06). Vegetarian dish, which can be made vegan upon request. 18€. Curry risotto. ‘Yes, you can choose something from the menu, and leave out the animal products. Eg. chicory in the oven, without the pesto and the sheep cheese’ (I wonder what remains to be eaten then …). (mail 2015/06). Organic resto. ‘Yes, if you make a reservation and request it several days in advance’ (mail 2015/06). ‘Yes, we can deal with that perfectly’ (mail 2015/06). Hotel-restaurant, Indonesian ricetable every Saturday evening, which we asked to have vegan upon reservation. ‘we can do something, if you let us know well in time, so we can accomodate to your needs.’ (mail 2015/06). ‘No. vegetarian is possible, but vegan would bring the taste of the dishes out of balance’ (mail 2015/06). 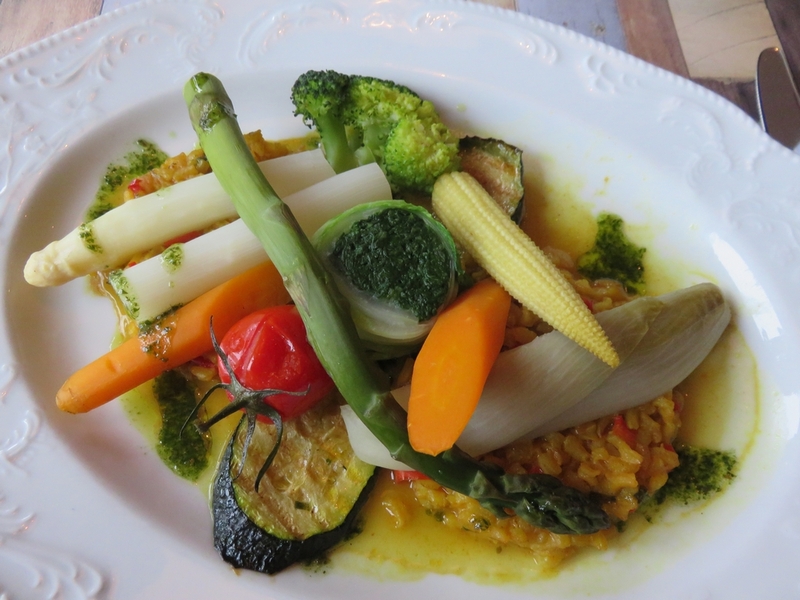 Reading your overview, I find that, on the whole, restaurants in Texel have a rather positive attitude to vegan dining. That’s hopeful, despite the animal industry on the island. People should continue to inquire about the possibility of vegan dishes when they contact restaurants, just like you did. This will encourage more and more restaurants to cater vor vegans. Impressive amount of research here, that will be of great benefit to future visitors to Texel! Lokaal 16 in Den Burg (Gravenstraat 16) had vegan options for breakfast and (raw) pies, possibly more choices as well.